Home Health Care Policies - On Sep 26, 2016, The CMS released the 2015 quality and financial performance results for Medicare Accountable Care Organizations (ACOs) that show that ACOs continue to improve the quality of care for Medicare beneficiaries while generating financial savings. - MyHomecareBizThe Centers for Medicare & Medicaid Services (CMS) today released the 2015 quality and financial performance results for Medicare Accountable Care Organizations (ACOs) that show that ACOs continue to improve the quality of care for Medicare beneficiaries, while generating financial savings. As the number of Medicare beneficiaries served by ACOs continues to grow, these results suggest that ACOs are delivering higher quality care to more and more Medicare beneficiaries each year. According to the results, over 400 Medicare ACOs generated more than $466 million in total program savings in 2015, accounting for all ACOs’ experiences. Of these, 125 qualified for shared savings payments by meeting quality performance standards and their savings threshold. The results show that more ACOs are sharing savings in 2015 compared to 2014 and that ACOs with more experience in the Pioneer ACO Model and the Medicare Shared Savings Program tend to perform better over time. The Pioneer ACO Model is designed for health care organizations and providers that are already experienced in coordinating care for patients across care settings. It allows physicians and health care providers to move more rapidly from a shared savings payment model to a population-based payment model on a track related to, but separate from, the Medicare Shared Savings Program. Financial and quality results continue to be positive, with several Pioneer ACOs generating greater savings in PY4 (2015) and one ACO generating savings for the first time. While the cohort of Pioneer ACOs decreased between PY3 (2014) and PY4, they still generated total model savings of over $37 million. It is important to note that going into PY4, the benchmarks for the Pioneer ACOs were re-based, and the Model as a whole introduced new financial benchmarking methodologies. Re-basing refers to using a newer set of baseline years to compute financial benchmarks; the new benchmarks are therefore based on ACOs’ spending during their initial years of participation in the Pioneer ACO Model. Quality performance improved considerably from PY3 to PY4 and across all four years of the Pioneer ACO Model. Overall quality scores for nine of the 12 Pioneer ACOs were above 90 percent in PY4. All 12 Pioneers improved their quality scores from PY1 (2012) to PY4 by over 21 percentage points. 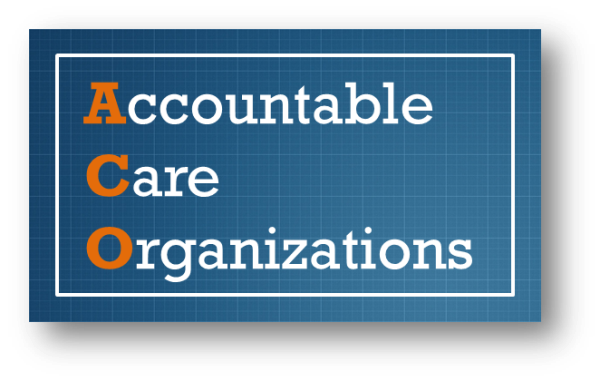 The 12 Pioneer ACOs participating in PY4 were accountable for 461,442 beneficiaries, representing a nearly 24 percent increase in average aligned beneficiaries per ACO (up to 38,454) from PY3. PY4 was the first option year in the Pioneer ACO Model, where Pioneer ACOs were operating under a new financial benchmarking methodology. While the cohort of Pioneer ACOs decreased by nearly a third between PY3 and PY4, Pioneer ACOs still generated total model savings (inclusive of all Pioneer ACO savings and losses relative to financial benchmarks) of over $37 million. Of the eight Pioneer ACOs that generated savings, six generated savings outside a minimum savings rate and earned shared savings. Of the four Pioneer ACOs that generated losses, one generated losses outside a minimum loss rate and owed shared losses. The Pioneer ACOs continued to show strong performance and improvement across financial, quality of care, and patient experience measures. The mean quality score among Pioneer ACOs increased to 92.26 percent in PY4 from 87.2 percent in PY3. The mean quality score has increased in every year of the model, with a total increase of over 21 percentage points since the first year. Of the 12 Pioneer ACOs, nine had overall quality scores above 90 percent for PY4, with scores ranging from 92.59 percent to 98.38 percent. Eligible professionals (EPs) who bill under the Taxpayer Identification Number of an ACO participant satisfied the Physician Quality Reporting System (PQRS) reporting requirements when their ACO satisfactorily reported quality measures on the EPs’ behalf for the 2015 reporting As a result, these EPs will avoid the 2017 PQRS payment adjustment and Value Modifier downward adjustment for failure to report. In addition, they may be eligible for upward payment adjustments based on their ACO’s quality performance under the 2017 Value Modifier. The Shared Savings Program continues to receive strong interest from both new applicants seeking to join the program as well as from existing ACOs seeking to continue in the program for a second agreement period starting in 2017. New and renewing ACOs will be announced around the end of 2016. Medicare Accountable Care Organizations were created to change the incentives for how medical care is delivered and paid for in the United States, moving away from a system that rewards the quantity of services to one that rewards the quality of health outcomes. Under the proposed Quality Payment Program, clinicians that sufficiently participate in certain ACOs, including Tracks 2 or 3 of the Medicare Shared Savings Program, the Next Generation Accountable Care Organization Model, or the large-dialysis organization arrangement of the Comprehensive End-Stage Renal Disease Care Model may qualify for exemption from payment adjustments under the Merit-based Incentive Payment System, as well as for the additional incentive payments available for sufficient participation in Advanced Alternative Payment Models beginning in 2019.